So Ava is 11 years old and doing really great - a while back I did an interview for a radio documentary series called "Six Dads" - it is available on www.rte.ie if you dig around - only the first 3 episodes are out but it covers my experience as a father of a child with DS from birth so maybe check it out - I am pretty happy with how it turned out. I saw this article posted on Facebook and was reading through it when I realised the journalist was talking about Ava! "Speaking of inclusiveness, I found myself observing a little fair-haired angel with special needs, who remembered her words and hand movements better than anybody else. Someone had dressed her with immense love in pink fluffy wings and a silver tinsel halo. During one tune, the halo slipped over her eyes and she couldn't see. But she carried on regardless, trooper that she was. Nothing appeared to matter to that small girl more than being among her classmates, acting out that story for their families. At the end, her smile was captivating." Haven't posted in ages and this one has no real message other than to say Ava did a deadly photo shoot with Imelda May! The shoot was for Down Syndrome Centre to promote Buy My Dress. Back in 2009 I did a blog post about Lamh. In the meantime while I was bitching about it someone got up and actually did something about it? Something Lamh should have done a long time ago? That is they (Down Syndrome Dublin) have created a site http://kids.handsthattalk.ie/. 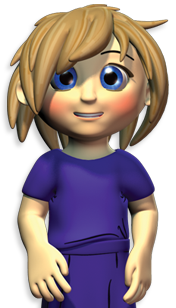 The site allows users to interact with Tizzie who will demonstrate signs using ISL. Simple and effective. It is what people have been looking for for years? Now here is the question. ISL? Irish Sign Language? Not Lamh? Well I will look into this further but I suspect they wanted to do Lamh but the good people at Lamh wouldn't let them? This is not a fact but a suspicion (at this point). Too little too late. Lamh should be out there in every school / preschool for the last 5 years at least. Why isn't this organisation willing to share. Anytime we looked for information it wasn't forthcoming ... Everything should be available on line. So easy ... What was the big deal with courses and non availability. What a joke. Free access, immediate on-line access. Simple ! Just do it LAMH. I hasten to add I do not know this person. Yeah this is a cynical sarcastic blog post but enough is enough - I'm mad!. Lamh have been told time and again by tax payers (that through the HSE fund them) that this is what people want and now they risk being made irrelevant? I met with them, wrote to politicians and emailed them and nothing. Shame on them for not serving those who need it most. 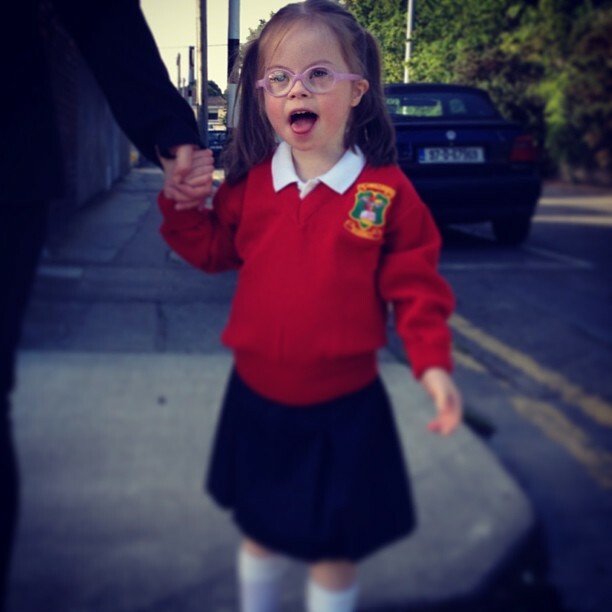 To end on a positive note MASSIVE respect to Down Syndrome Dublin. You. Guys. Rock. With you were getting the funding instead. IEP is Individual Education Plan and is mandated through the EPSEN Act (2004). It is a written document which specifies the learning goals that are to be achieved by the student over aindee set period of time. It should not contain everything to be taught to the student in a period of time, but rather, that which is additional or different to the main class curriculum. The strategies, resources and supports necessary to achieve these goals are also specified in the IEP. The Individual Education Plan is developed through a collaborative process involving the school, parents the student (where appropriate) and other relevant personnel and agencies. Who was at our IEP Meeting? Home We would like to mirror at home what is taught in school as much as possible. The meeting was really great and productive. Everyone combined their input to essentially plan out what Ava should work on and how to work at it. 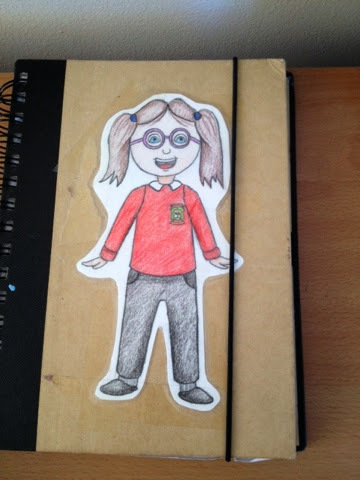 Importantly feedback was sought from us (and the staff from her services) on how best to teach her and work with her. This means that our experiences in how to deal with and educate Ava will inform their approach. I was genuinely impressed with all concerned. Mainstream School - We made it ! Big day today. Momentous Day! Ava, 5 years old puts on the school uniform and heads with Mum and Dad for her first day at big (main stream school). Arrived and sat at her new seat not a bother and (thanks to much advance prep from her Mum) was keen to meet her teacher and SNA (yes we are very lucky). I often don't reflect on her DS or situation in general just enjoy her as I do my (non DS) son but today was different. We didn't get all teary (as some other parents did) but I did think back to 2008 when our family rallied around when she was born. Shock, ICU, mother's in law bringing food to ICU, appointments, tubes. We have been super lucky with Ava's medical conditions in comparison to others. She has actually been sick for the last several weeks but with stomach illness but rallied two days ago. And after her first day in school? Had a great day! Delighted - a group effort and we got there. Onwards and upwards for my little superstar! Must post more as I see this site since 2008 has had 28,000 page views - thanks - contact me!